"I occasionally think how quickly our differences worldwide would vanish if we were facing an alien threat from outside this world." Why would President Reagan have made such a profound statement about the possible reality of alien life in outer space? What did Ronald Reagan really know about extraterrestrials? An alleged internet briefing transcript gives an astounding glimpse of how newly elected President Reagan, in 1981, learned of our government's decades old secret involvement with the ET issue from CIA Director, William Casey and select advisers. Its also important to note that due to her special relationship with Ronald Reagan, Uk prime minister Margaret Thatcher apparently also knew of the Ufo Et threat at the time as well. "UFOs! You must get your facts right and you can't tell the people". How about the known fact that he was a big science fiction fan? This is grasping at straws at its worst. I've brought up this same point with friends while talking international politics, does this mean that I am in on some big conspiracy? A man to be aspired to, if only more American presidents could be similar. 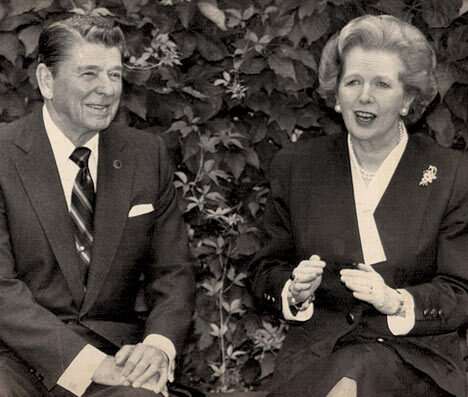 The only difference between Reagan and Thatcher is that she deserved Alzeimers,sorry,but she is HATED here in Scotland.